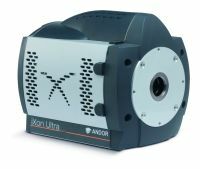 The iXon Ultra 888 is Andor's most advanced EMCCD for the most demanding of light-starved applications. 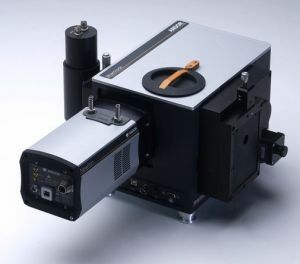 It provides single-photon sensitivity, high frame rate, deep thermoelectric cooling, "two in one" EMCCD and CCD readout modes plus many other advanced features. This system includes Andor's Shamrock 193i spectrograph coupled to an iDus CCD detector. The spectrograph has 193mm focal length and is equipped with two gratings allowing resolution of ~0.3nm. The iDus detector has 1024 x 255 pixels and is the "open electrode" type with spectral response from 200-1000nm. The combined system is controlled by Andor's SOLIS software and provides high sensitivity at moderate resolution over a wide spectral range. The spectrograph and detector can also be offered individually if some other combination is preferred. Laser driven light sources (LDLSTM) technology removes the need for multiple traditional lamp sources, providing extremely high brightness with a relatively flat spectrum from deep UV to NIR. Lifetimes are order of magnitude higher than traditional lamps. The demo system is a model EQ99X-FC with optical fibre output. 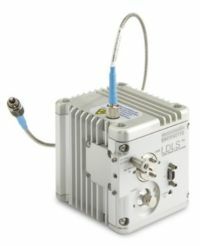 The system has a very low run-time and comes complete with the EQ99 Manager control unit, two optical fibres (200 and 600µm core diameter) and a hard-shell carry case for safe transportation and storage. Contact us if you are interested in any of the above items.